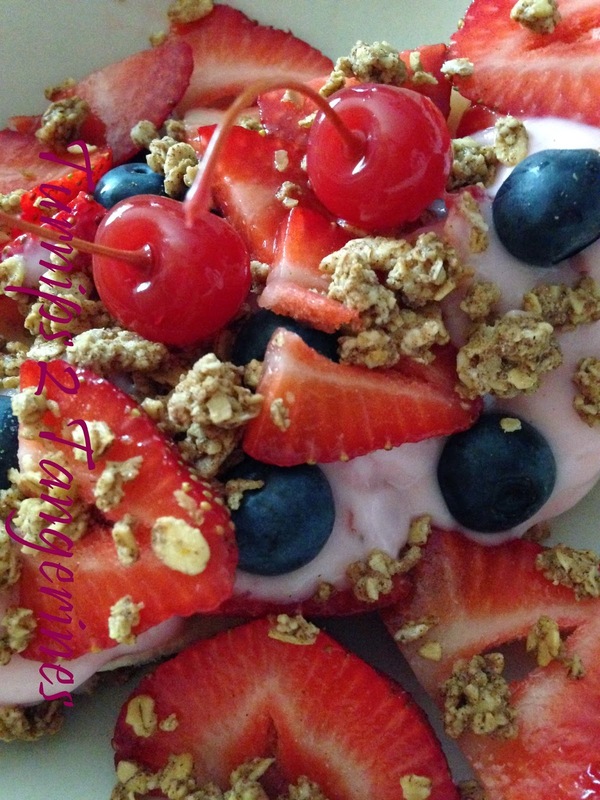 Banana Split for Breakfast is a quick, easy and delicious recipe. It’s good for you too. In fact, breakfast never tasted so good! Your kids will love this idea heck, even your “adult” kids, family and overnight guests will love this idea. 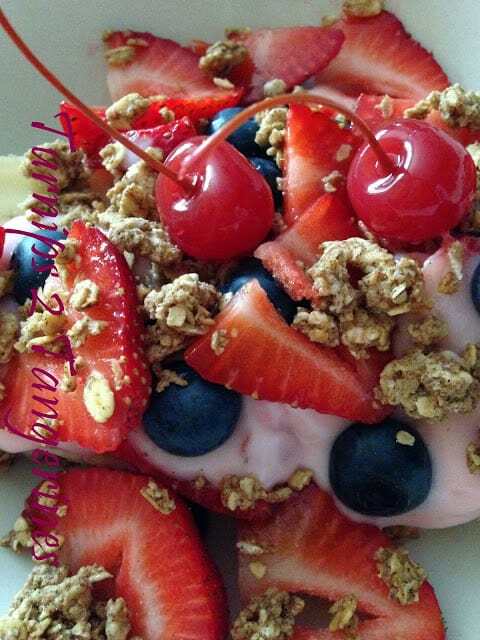 Set up a Breakfast Banana Split Bar with all the fixin and let them make their own Breakfast Banana Splits. Overnight guests, family or if your kids are having a sleep-over, this will be a fun way to serve breakfast. 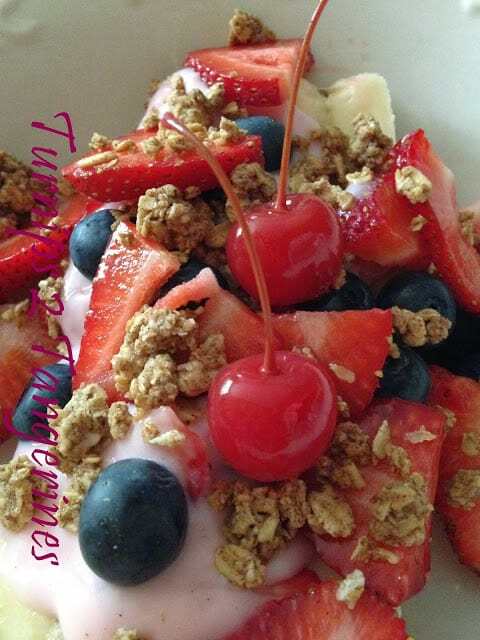 In small, medium and large bowls have an assortment of fresh fruit such as: chopped apples, bananas, kiwi, blueberries, blackberries, raspberries and strawberries. Use any of your favorite fruits. Set out an assortment of small containers of flavored yogurt. 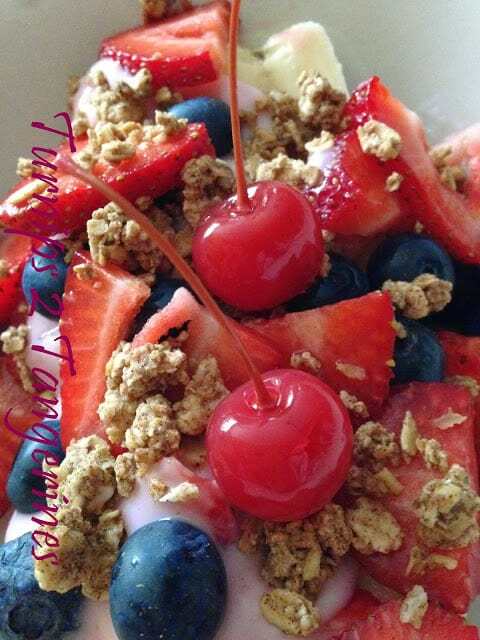 Granola, raisins, coconut, nuts and cherry with stems. Really anything you like will work on your breakfast bar, even whipped cream! Peel banana; slice lengthwise in half. Separate halves and place on a serving plate. 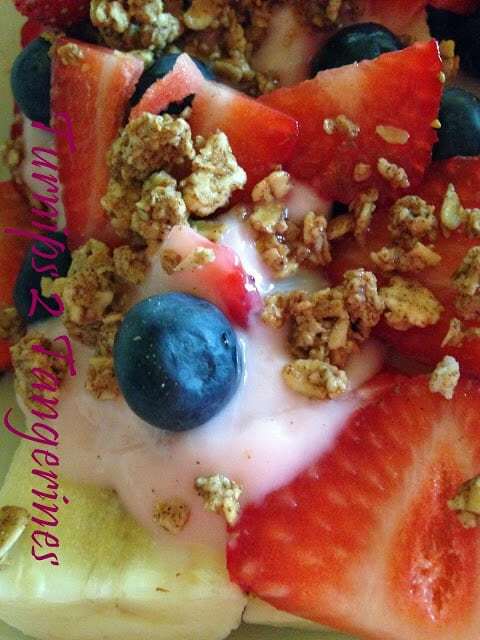 Place half of strawberries and blueberries on banana slices. 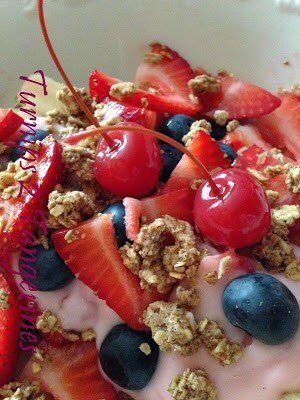 Top with remaining berries, granola and cherry. I love the banana split bar idea, Lynn! This is such a fun breakfast! Thanks so much for linking up to Wine'd Down Wednesday! Wow! Really easy and I think I have everything we need to do this … Thanks for sharing! This is such a good idea! We're always looking for new breakfast ideas…this is quick, easy & good for you too!